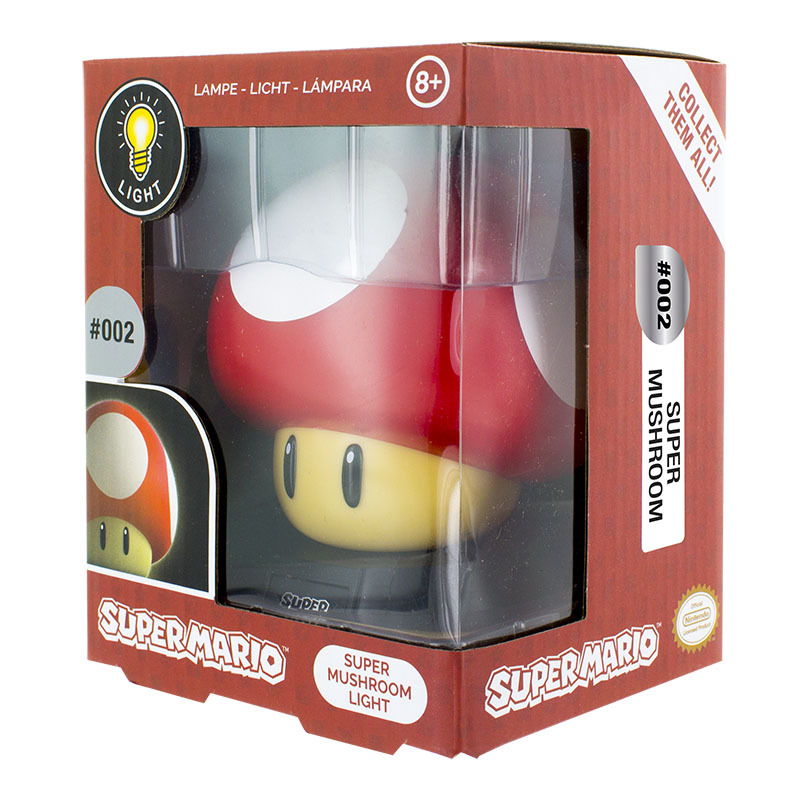 SKU: 5055964717858 Categories: Gifts for Her, Gifts for Him, Office Brand:	Super Mario Bros.
Level-Up and boost your chances of success with this cute Super Mushroom 3D Light. 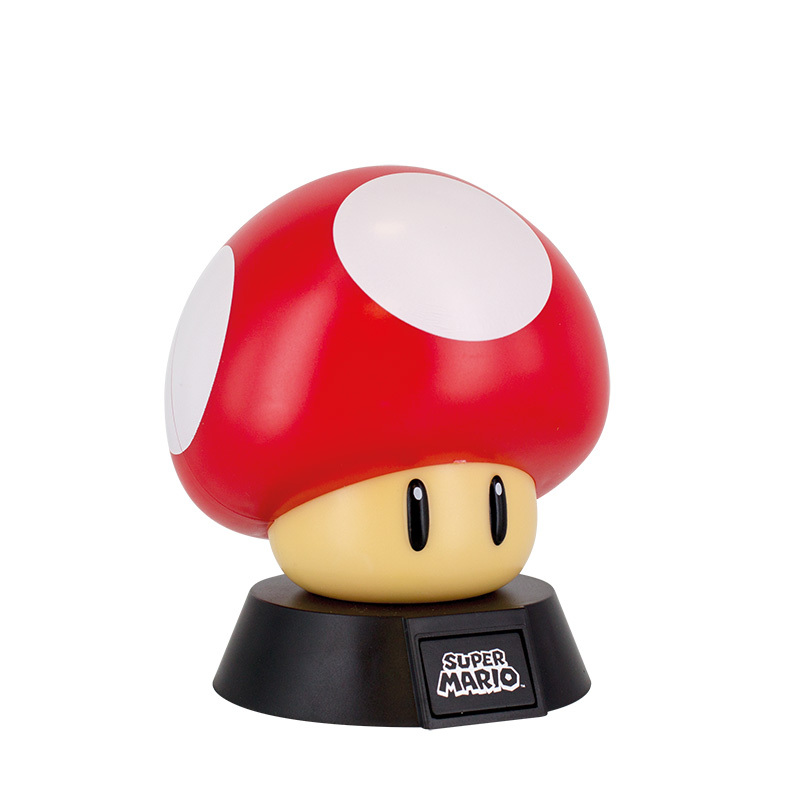 This fun lamp is in the design of the instantly recognisable Super Mario Mushroom and is perfect for lighting up your desk or shelves. Be sure to harp back to days spent on quests to rescue Princess Peach each time you switch it on. 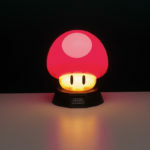 This lamp makes a great gift for lovers of the Super Mario games as well as retro gaming fans. The Super Mushroom 3D Light is perfect for use as a bedside lamp, or on your desk. It has three LED lights inside, is battery powered (3 x AAA batteries) and has an on/off button on the base. One of the most popular and instantly recognisable video game characters of all time, Mario first appeared in the iconic 1981 arcade game Donkey Kong under the name ‘Jumpman’. Since then, Mario has become a legend within popular culture and has been a defining figure not just for Nintendo, but for the whole gaming industry. Since hitting the big time with Super Mario Bros. Mario has had huge success with other instalments such as Super Mario Galaxy, Super Mario 3D World and the hugely popular racing spin-off Super Mario Kart. 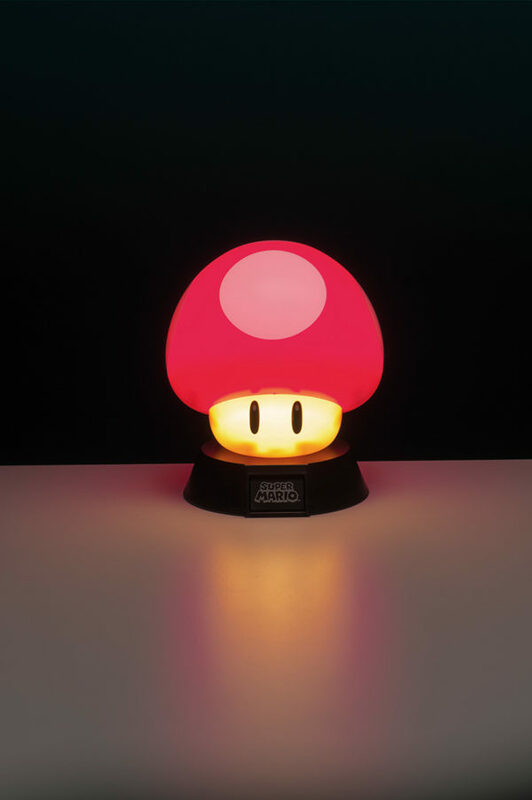 This Super Mushroom 3D Light is an officially licensed Super Mario product.